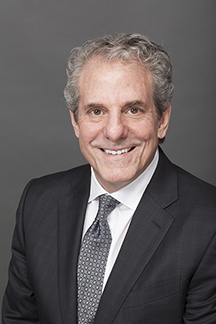 Steven G. Seleznow, President & Chief Executive Officer of the Arizona Community Foundation (ACF), has been named as the 2019 honoree of the Maricopa Community Colleges Foundation Heroes of Education award. This award, celebrating its 14th year, is given to a champion of education in Arizona and recognizes those who have a proven personal and professional commitment to supporting students and educational opportunities. At the helm of ACF, Seleznow leads Arizona’s largest statewide grant maker and largest private provider of college scholarships throughout the state. Since 1998, ACF has provided the Foundation with more than $6,255,000 in scholarship and program support across the Maricopa Community College District. Prior to leading the Arizona Community Foundation, Seleznow served for nearly five years as program director and deputy director for the Bill & Melinda Gates Foundation’ U.S. Program in Education. He previously served as partner and Chief Investment Officer at Venture Philanthropy Partners in Washington, DC and spent the first 28 years of his career in public education, including roles as Deputy Superintendent for the Montgomery County, MD, Public Schools, Chief of Staff and Interim Superintendent for the District of Columbia Public Schools. Seleznow will be honored at the Heroes of Education Recognition Dinner on April 3, 2019 at the JW Marriott Scottsdale Camelback Inn Resort & Spa, in Paradise Valley, AZ. For more information about the Heroes of Education event and the Maricopa Community Colleges Foundation, contact Judy Sanchez, Director of Development and College Relations at 480.731.8739.